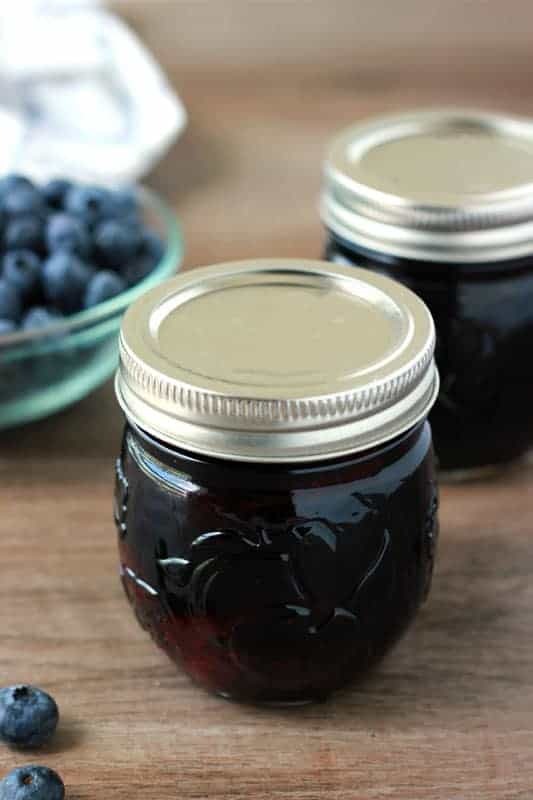 Slather your morning toast or English muffin in a spoonful of this homemade Blueberry Jam Recipe! I’m a sucker for lots of things but TODAY I’m a sucker for blueberries. Let’s rewind back a few months. I was at my parents house eating their food (tell me I’m not the only person pushing 30 that still does this??) when I found a jar of jelly that was questionable. There was no label and it was buried allllllll the way in the back which sent warning flairs up in my mind. HOWEVER, my youngest sister and I decided to be brave and bust that delicate little mason jar open to see what we were working with. The good news is that tiny container was filled with the most AMAZING blueberry jam but the bad news is neither one of my parents knew where the heck it came from. My mom insists that its from me. We argued about this for a solid hour before my dad chimed in and announced that he is almost, mostly, maybe positive that it’s from a coworker. Either way, that jelly was insanely delicious and we fought over every single drop. 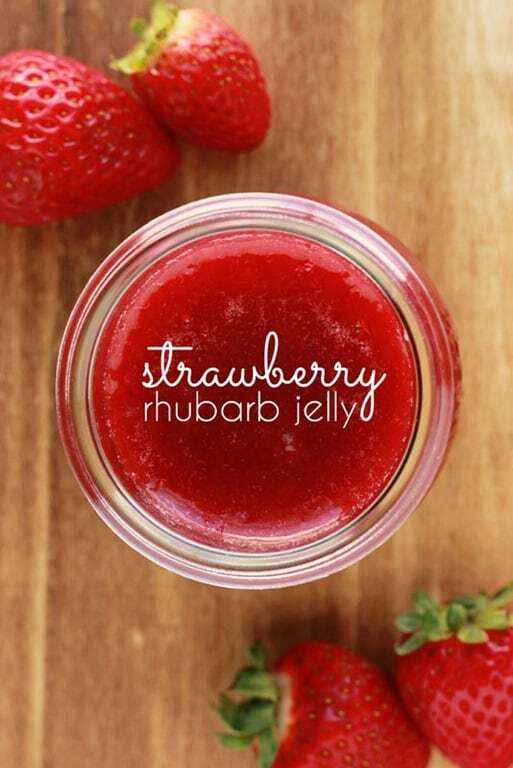 Once the tiny amount we discovered emptied into our bellies we were left with only one option… FIND MORE JELLY. 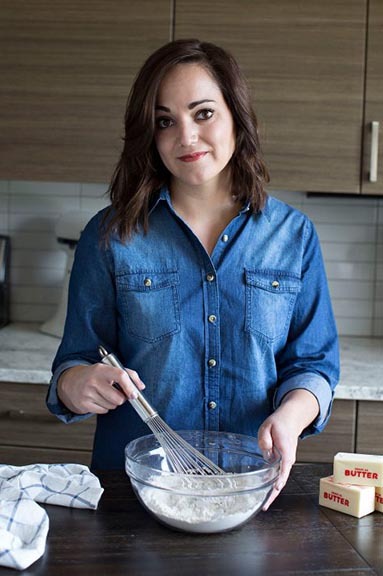 In Utah we found a great local made substitute but unfortunately I made the move all the way to Texas and have been pining over that sweet spread for weeks. I had no choice but to make my OWN and stock up. This version is probably one of my most genius recipes to date. Technically, it is very basic and follows all of the same steps as my other jellies. Nothing flashy but the sweet berries really shine which was my end goal. My husband could hardly wait for it to cool before spreading a heaping spoonful over a warm buttered piece of toast. 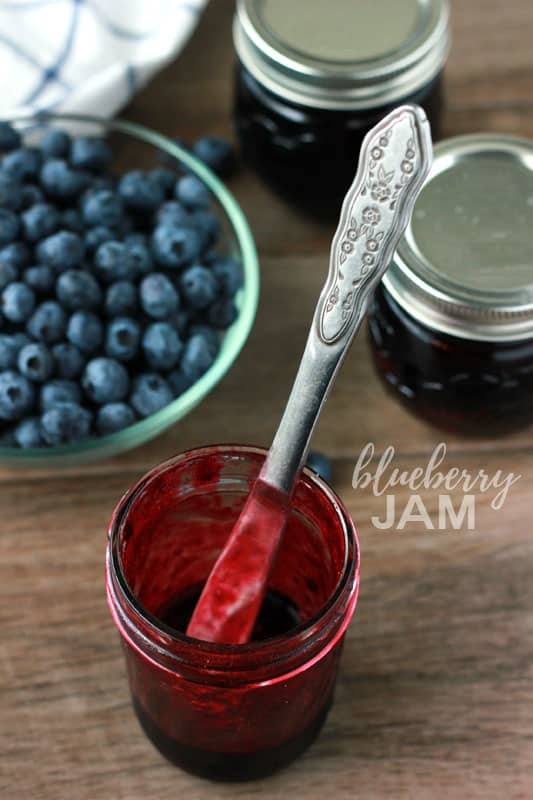 My non-sweet loving husband raved about how delicious this jam is and immediately let me know I’d need to make a second batch to give out as gifts this holiday season! 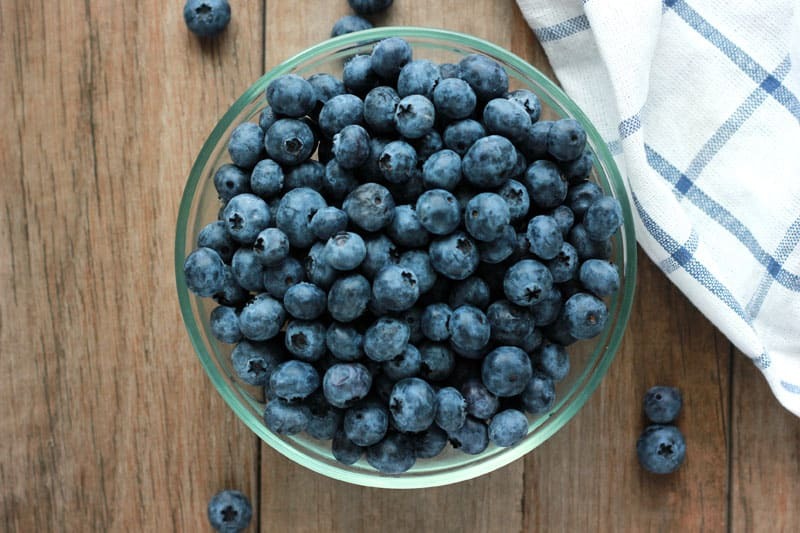 Smash your berries lightly using the back of a wooden spoon or potato masher. 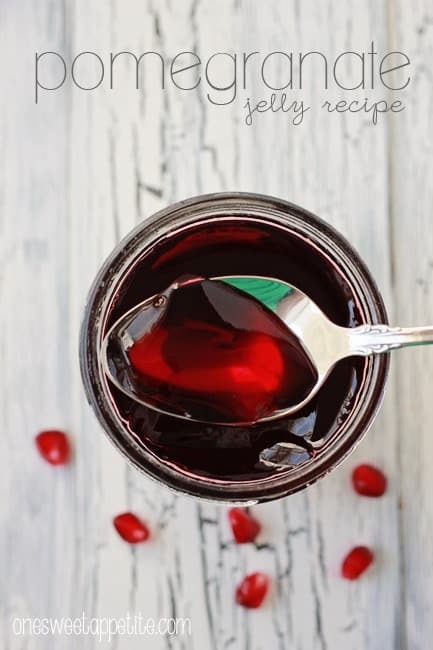 Transfer the berries to a large pot and stir in both the lemon juice and pectin. Bring to a boil stirring consistently to avoid any burning. Stir in the sugar and return to a boil. Allow to cook for 3 minutes making sure to continue stirring. 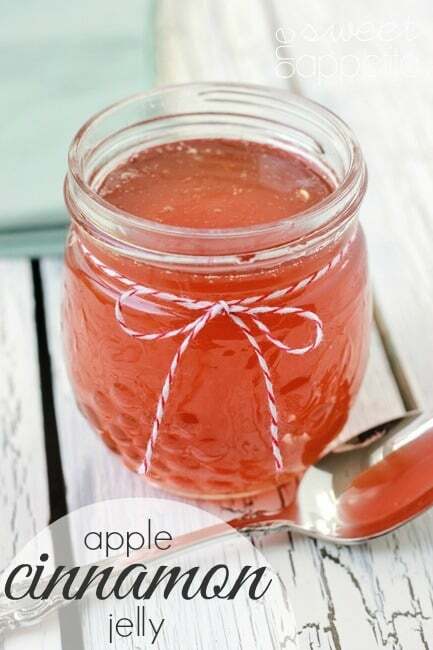 Place into sterilized jars and follow proper canning instructions. *We used 4 cups of sugar and thought it was plenty sweet but adjust according to your preference. Thank you! Really want to try this! Where can I find directions for “safe canning methods”?